The quality of Frost River’s waxed canvas bags can’t be argued. They are made in the United States, in Duluth, Minnesota. Their products are made with the highest quality materials, many which are also made in the US. They benefit from over 250 years of experience in the North Woods and Boundary Waters. Built by hand and built to last, Frost River guarantees their luggage for life. We are pleased to offer two new items by Frost River. 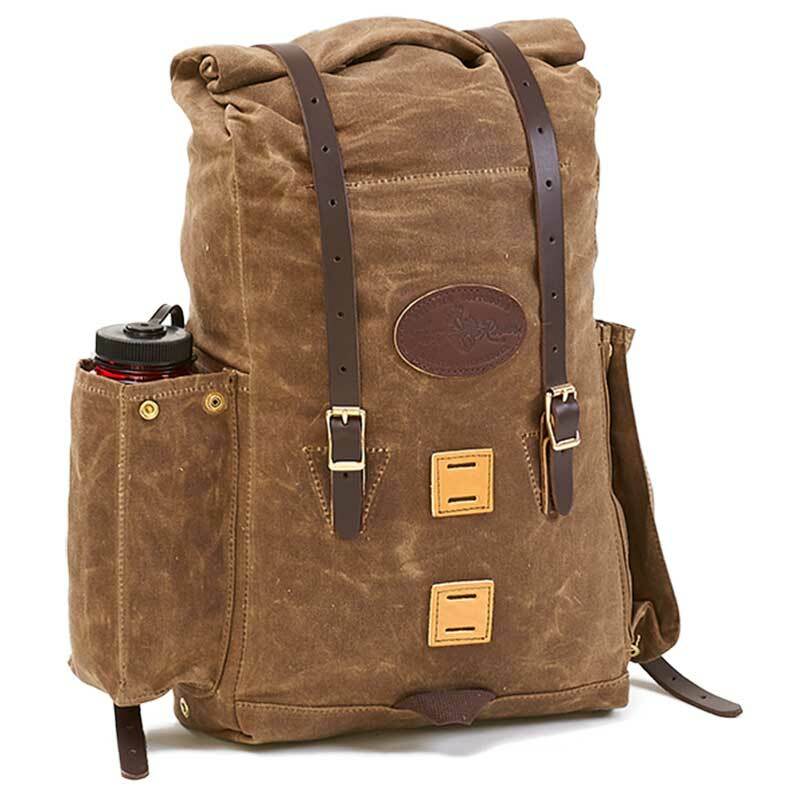 Named after the famous Arrowhead Region of northeast Minnesota, the Arrowhead Rolltop is an incredibly versatile pack, adjusting in size from as small as 18 inches in height to about 27 inches. The bridle leather straps with brass hardware secure the pack whether filled with gear or rolled up to the most compact size. Built with tough, 18 oz. waxed canvas, the pack has a double bottom for durability and two grommeted air vents on the side. Read more here. The Lake Huron Tote by Frost River is your essential, day-to-day companion. 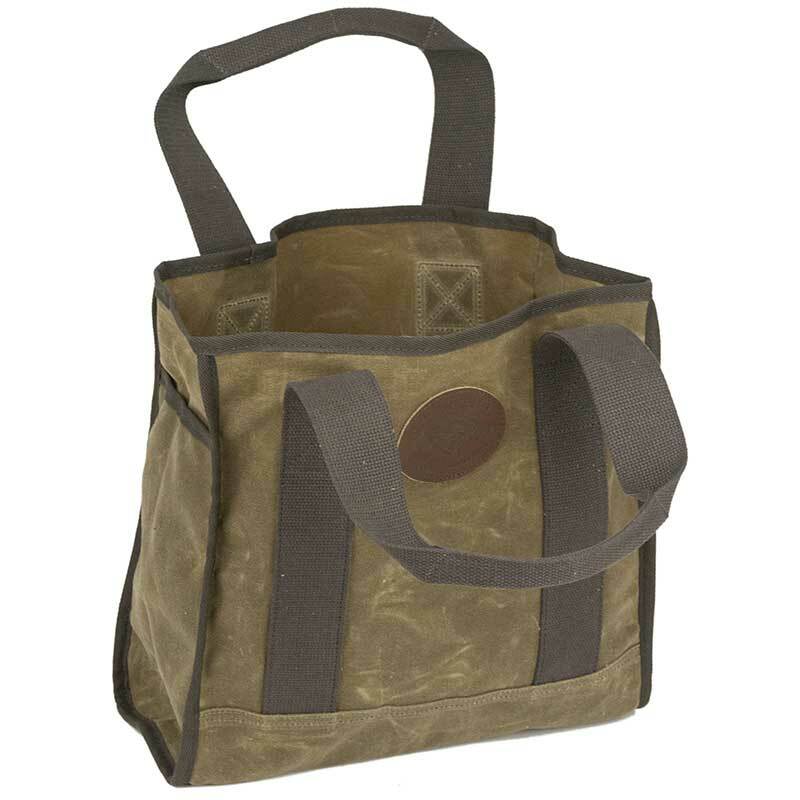 The 18 ounce waxed canvas and the two-inch cotton web handles allow for lugging heavy loads. The double-waxed canvas bottom adds another layer of durability. There are two exterior side pockets. The size of this tote is 13″ high by 13.5″ long and 5.75″ wide. Read more here. The following description is for the artwork designed by Dorothy Napangardi, who was a Warlpiri speaking Indigenous Australian from Alice Springs. 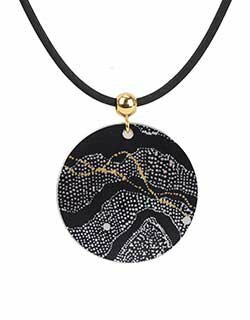 Her artwork is featured on our Women’s Dreaming pendant and Women’s Dreaming earrings. The country associated with this Jukurrpa is Mina Mina, a place far to the west of Yuendumu, which is significant to Napangardi/Japanangka men. All of them are custodians of the Jukurrpa that created that area. The Jukurrpa story tells of the journey of a group of women of all ages who traveled to the east gathering food, collecting “ngalyipi”, snake vine (Tinospora Smilacina) and performing ceremonies as they traveled. The women began their journey at Mina Mina where “karlangu” digging sticks emerged from the ground. Taking these implements, the women traveled east far beyond the Walpiri boundaries creating Janyinki and other sites. Ngalyipi is a sacred vine that has many uses. It can be used as a ceremonial wrap, as a strap to carry “parrajas” — wooden bowls that are laden with bush tucker — and as a tourniquet for headaches. There is a church in Nevern (Nanhyfer),Wales dedicated to Saint Brynach. Nevern is a small village and parish in Pembrokeshire, West Wales. It lies in the valley of the River Nevern. The famous cross, constructed in medieval times, is 13 feet tall and ornamented with Celtic knotwork. It is dedicated to Saint Brynach, who lived lived in the late 5th and early 6th centuries. He was a native of nearby Cemaes who, after a pilgrimage to Rome and a sojourn in Brittany, returned to Wales to lead an ascetic life in Nanhyfer. The cross was carved in the 10th or 11th century. Legend has it that the cuckoo, on returning to Wales in the spring, first sings from the cross on April 7th, the saint’s feast day. St. David, Dewi Sant, is the patron saint of the Welsh, and March 1, his feast day, is celebrated as a patriotic and cultural festival by the Welsh in Wales and around the world. Dewi Sant was a Celtic monk of the sixth century. His mother was Non. The ruins of a small chapel dedicated to her memory may be seen near St. David’s Cathedral. His father was Sant, a son of Ceredig, King of Cardigan. Little is known for certain about Dewi Sant, but he founded several religious centers in Wales and western England, was consecrated archbishop during a pilgrimage to Jerusalem, and led an ascetic life. An account of his life was written towards the end of the 11th century by Rhygyfarch, a monk at Llanbadarn Fawr near Aberystwyth. Many prophesies were said to have preceded the birth of Dewi Sant, and many miracles were attributed to him. One miracle often recounted is that once when Dewi was preaching to a crowd at Llandewi Brefi those on the outer edges could not hear, so he spread a handkerchief on the ground, and stood on it to preach, whereupon the ground swelled up beneath him, and all could hear. A short account of Dewi Sant has been given by Nona Rees in St. David of Dewisland. March 1, the date given by Rhygyfarch for the death of Dewi Sant, was celebrated as a religious festival up until the Protestant Reformation of the 16th century. In the 18th century it became a national festival among the Welsh, and continues as such to this day. The celebration usually entails singing and eating, which may mean a meal followed by singing, or much singing followed by a Te Bach, tea with teisen bach and bara brith. Y Ddraig Goch, the Red Dragon, is flown as a flag or worn as a pin or pendant, and leeks are worn, and sometimes eaten. In schools in Wales the boys take leeks to school, status being given to those who bring the biggest leeks, and eat them earliest in the day. St. David’s Day meetings are not boisterous celebrations of democracy and freedom in Wales, but rather the subdued remembrance allowed a captive nation under colonial rule. 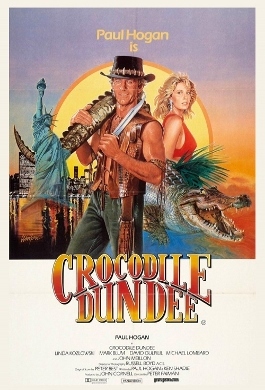 Although three decades have gone by, Crocodile Dundee is still a well-loved movie. When mentioning the name, most people will immediately say, “That’s a knife!” Crocodile Dundee was a tremendous hit and spawned two sequels. 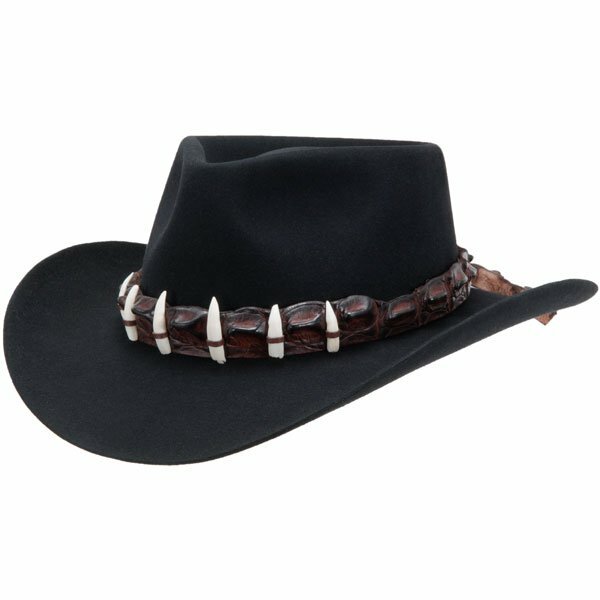 It may be years later, but we still get customers who call and ask if they can get “The Crocodile Dundee hat.” Paul Hogan, who portrayed Crocodile Dundee wore the black Down Under, made by Akubra. It was a popular hat for many years, but Akubra discontinued it a few years ago. The band he wore was a crocodile hat band, and we offer a farm-raised crocodile hat band with or without teeth. It can be added to almost any hat. 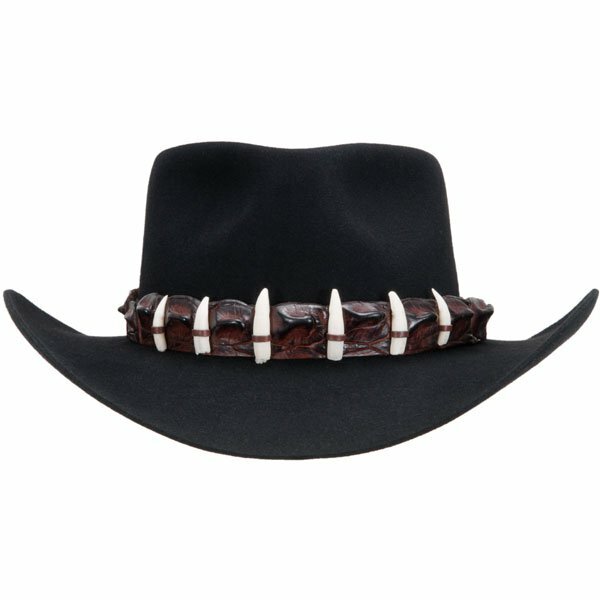 If you want to have a Crocodile Dundee hat, you can make your own using a black Snowy River. Although the Snowy River has a pinched telescope crown, and the Down Under had a round telescope crown, the look is similar. In fact, one of our customers developed his own system for transforming a Snowy River into a Down Under. Akubra does offer their own version of the Snowy River with a Crocodile band called, The Croc. But US Fish & Wildlife regulations covering crocodile are stringent and we cannot effectively import it. While parts of the country are downright frigid, there are other parts where there’s just enough chill in the air to need a pair of gloves. Our possum/merino wool gloves can do the trick in both places. 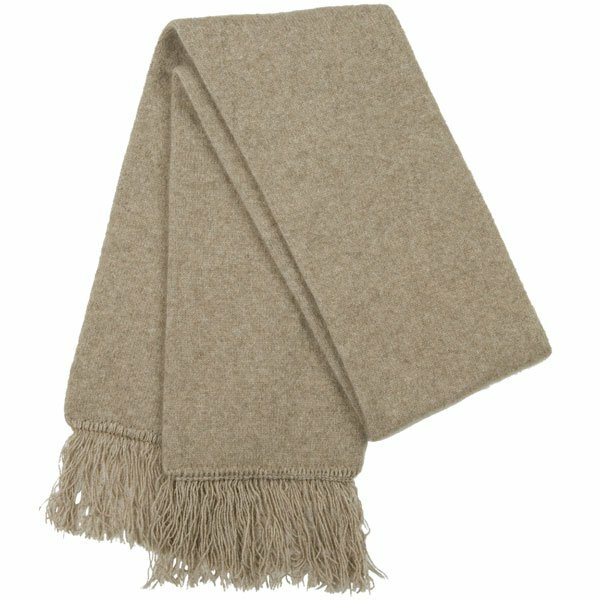 The lightness and warmth of possum wool, combined with the softness of merino wool proved a warmth and comfort for your hands. 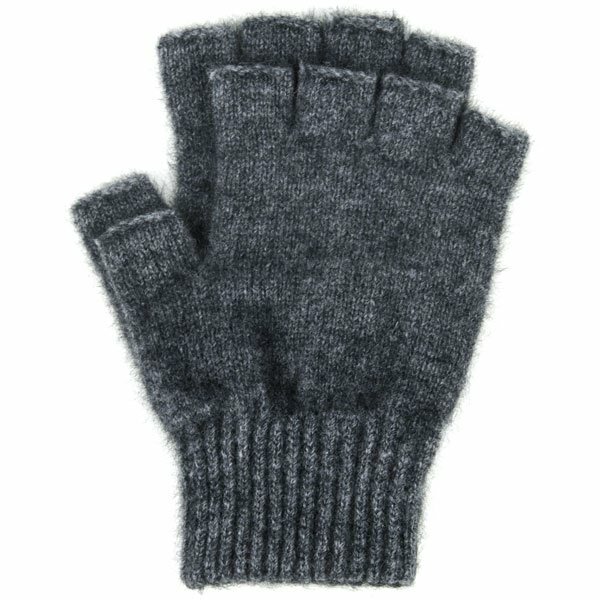 They are also thin enough to be used as a liner in a pair of mittens or thicker gloves. 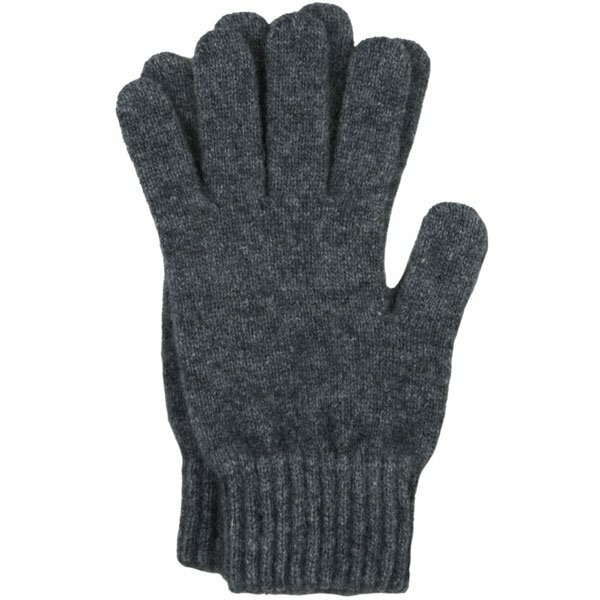 For those who still need the dexterity of the fingertips, we also provide fingerless gloves. We are pleased to feature an additional artist in the Occulture line. Julie Nangala Robertson is one of five daughters born in Yuendumu in 1973 to well-known Telstra Award winning artist, Dorothy Napangardi (Dec 2013). Since the late 1990’s, while often in the company of her talented mother, Julie has pursued and developed a creative visual language of her own, one which consists of a fascinating blend of stylised experimentation and ancient narrative. Usually an aerial perspective along with a more recently and established distinctive monochromatic pallette, Julie’s current paintings (which depict the topographical features of her traditional country at the site of Pirlinyanu) have become works of extraordinary optical brilliance as she alternates the size of dots throughout her work as well as building up specific shapes or reference points often repeated with overdotting. Julie has been painting with Warlukurlangu Artists Aboriginal Corporation, an Aboriginal owned and governed art centre located in Yuendumu, since 2007. She paints her mother’s Jukurrpa stories, stories that have been passed down to her by her mother and all the mothers before them for millennia. Her work has been included in numerous collections and exhibitions of Aboriginal Art in both Australia and overseas. 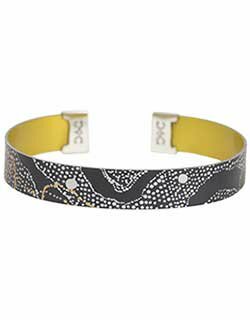 All artwork featured in the Occulture jewelry is licensed and royalties are paid directly to the individual artist. For more information about Julie Nangala Robertson and her artwork please visit warlu.com. 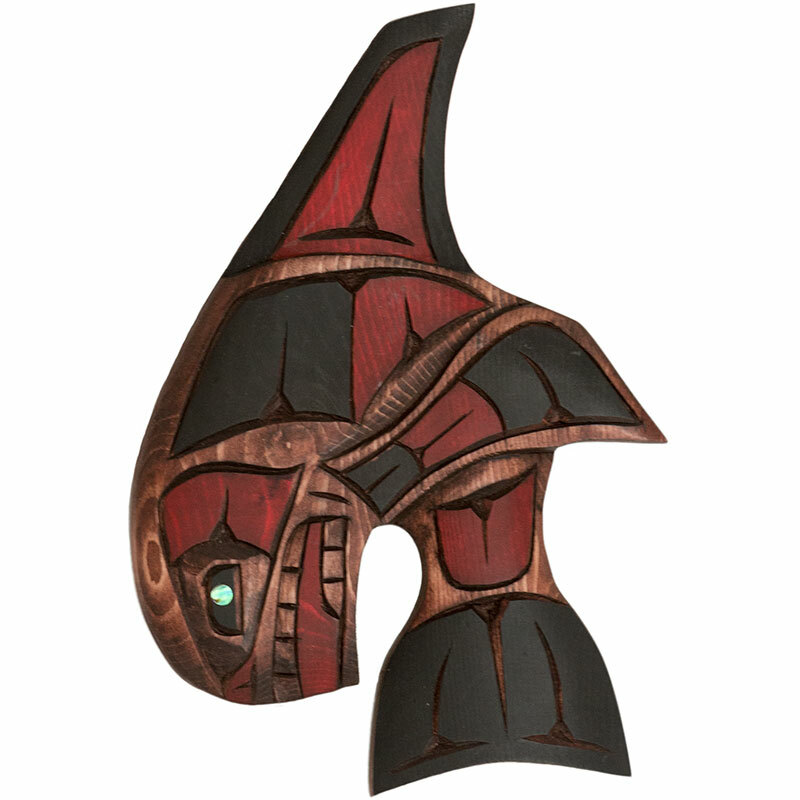 Coastal Salish art is a tradition that goes back at least 5000 years. Carvings can be made from bone, wood or stone. The artist creates the image by carving away the unnecessary material, leaving the image in relief. These images are often in profile, but unlike modern, Western art, they can show a varying perspective. Our cedar carvings are hand carved by Dora Edwards. They are painted and adorned with an abalone eye. Dora is the daughter of Connie Edwards and Larry James. She was born on Penelakut Island, one of British Columbia’s Gulf Islands, in 1985. She learned the art of carving from her parents, both well-known Coastal Salish carvers, at the age of 14. 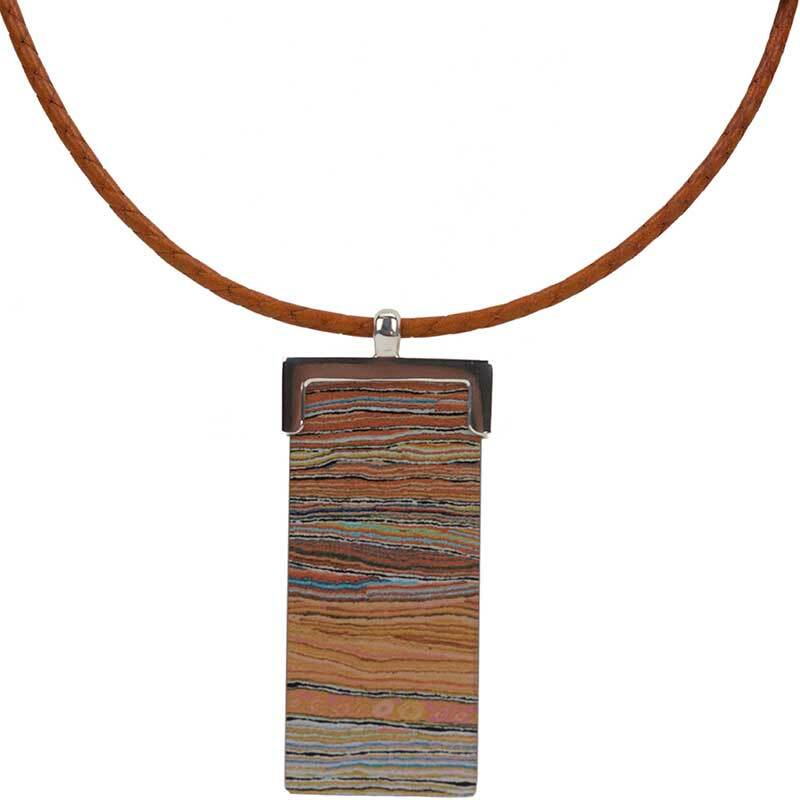 Each piece is unique, signed on the back and with a wire attached for easy hanging. Carvings may face either to the right or to the left. Hand crafted in Canada. Whale Carving by Dora Edwards, Cedar with Abalone eye. Hand carved and painted in Canada. 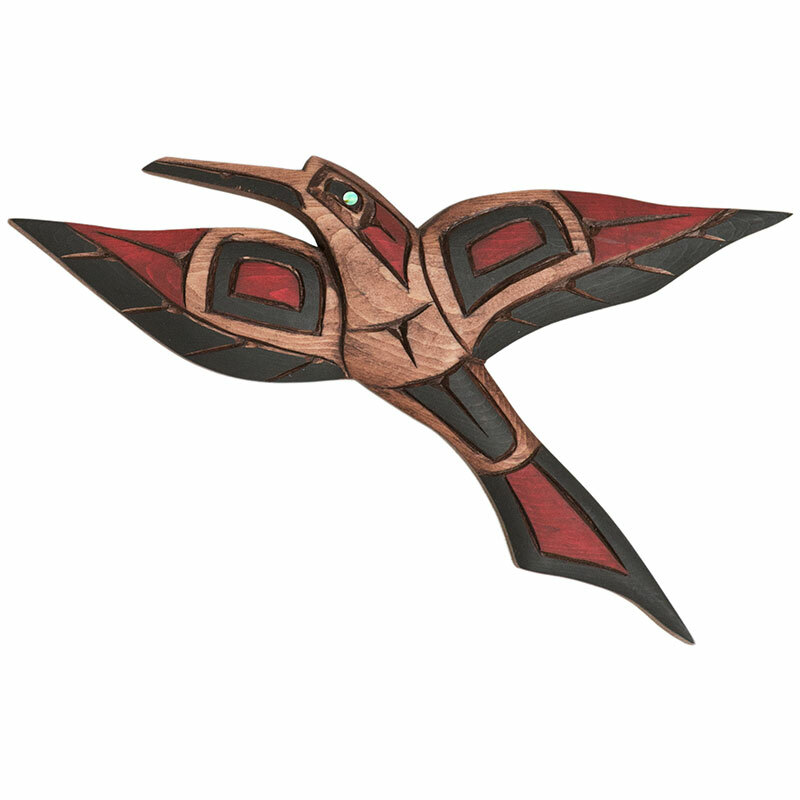 Hummingbird Carving by Dora Edwards, Cedar with Abalone. Hand carved and painted in Canada. 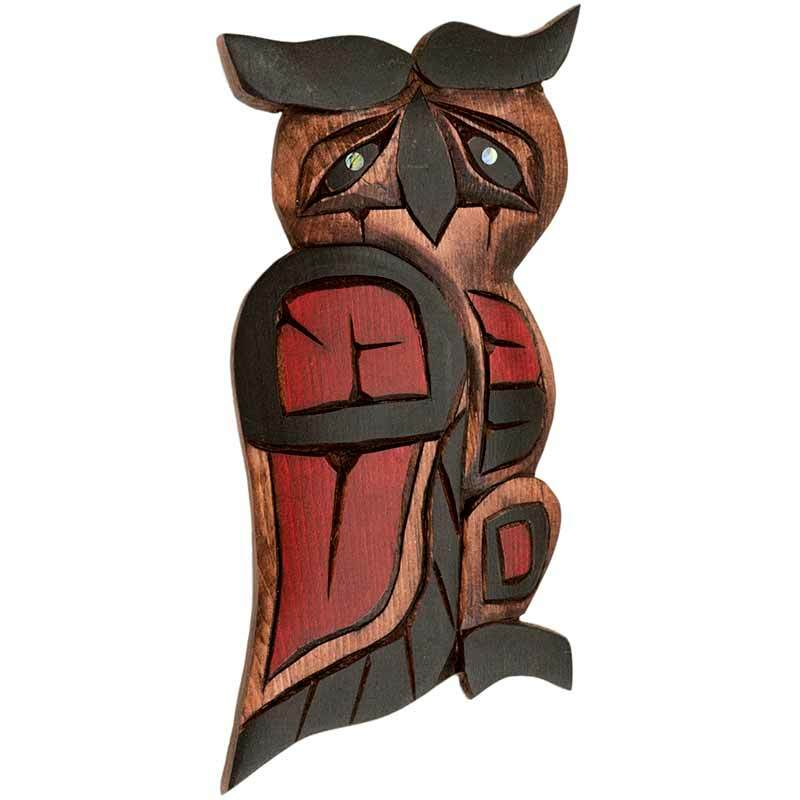 Owl Carving by Dora Edwards, Cedar with Abalone. Hand carved and painted in Canada. We have been extremely happy with the our Occulture jewelry. There’s no question that it’s a hit because of the beauty. 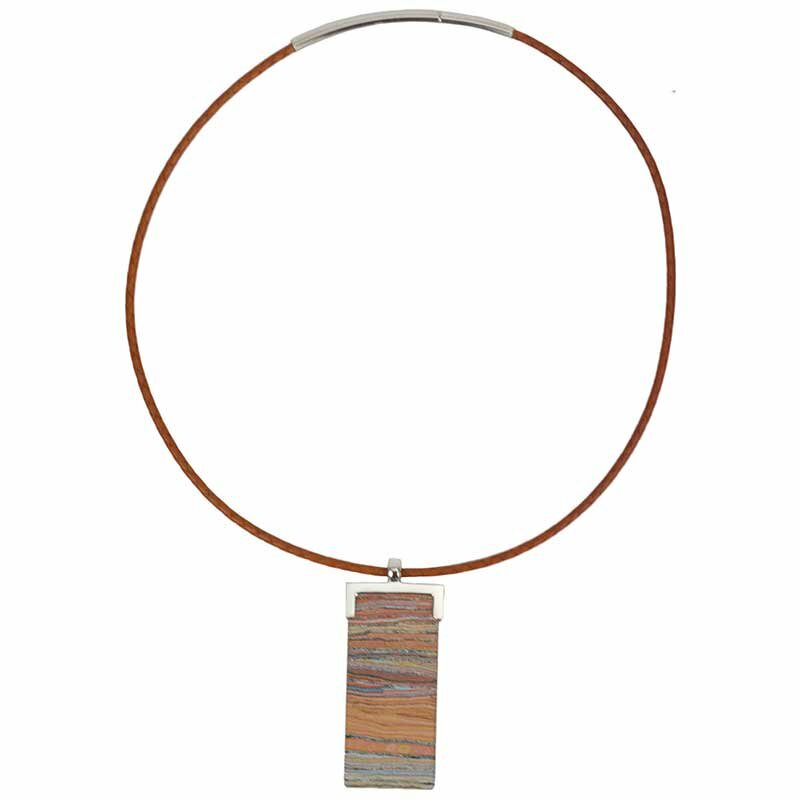 Why not show off your pendant with a leather choker? Cordon y Cuero is a company in Taos, New Mexico. Larry Knapp learned how to braid while in Ibiza, Spain back in the 1970s. His leather is vegetable tanned. The two items complement each other with a natural beauty. David’s Welsh heritage was proudly displayed at David Morgan. Customers in the store could look at the Welsh flag which hung over the door. Street signs and posters also decorated the walls. One sign said, in Welsh, “Drink Welsh milk, not English beer.” David was a Welsh separatist, and had many books on the topic. This influenced David and Dorothy’s buying decisions over the years. Many Welsh items such as the Nursing Shawl are long gone. Our jewelry, however, remains. 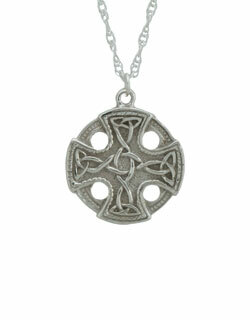 David Morgan uses the Celtic design tradition as a part of its jewelry. 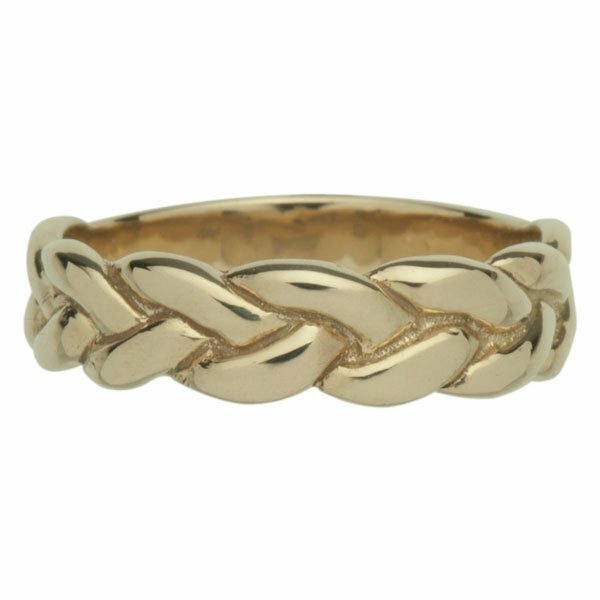 Many of our Celtic rings have always been available in gold. Now we are proud to say that most Celtic rings are available in white gold. Our customers have asked for this option and we are now able to do it. 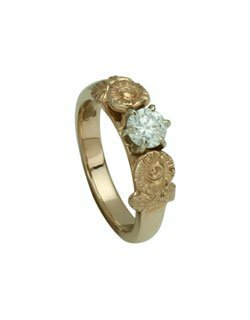 The white gold also applies to the Kalgoorie rings. Since 1962 when David and Dorothy Morgan started the company, David Morgan has been a family owned and operated mail order business presenting traditional, quality items discovered in the pursuit of their own personal interests. In addition to jewelry from the Pacific Northwest and their own line of Celtic jewelry, David Morgan offers Akubra® hats from Australia, a range of quality leathergoods, Tilley hats, clothing and luggage, and much more. Many David Morgan suppliers are also family run, putting their personal integrity behind their goods.